Allow the Amish Arlington Bed with Leaded Mirror to completely transform your bedroom suite. 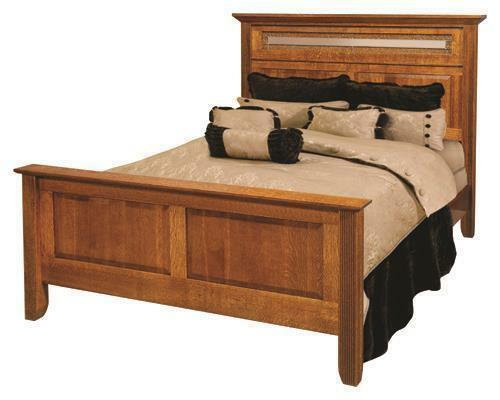 This solid wood Amish bed will provide you with endless nights of sound sleep. Choose to have this heirloom bed crafted in a twin, full, queen or king size. All parts of the Arlington are Amish made and built to last for a lifetime. Look forward to jumping into your new bed at night! Say goodbye to creaks that are prevalent with veneers and cheap material. Our beds are 100% Amish made in solid wood.